Oh my god. You guys! Do you like champagne? Do you like beer? Do you like beer made on Belgian(Quebecois) yeast? 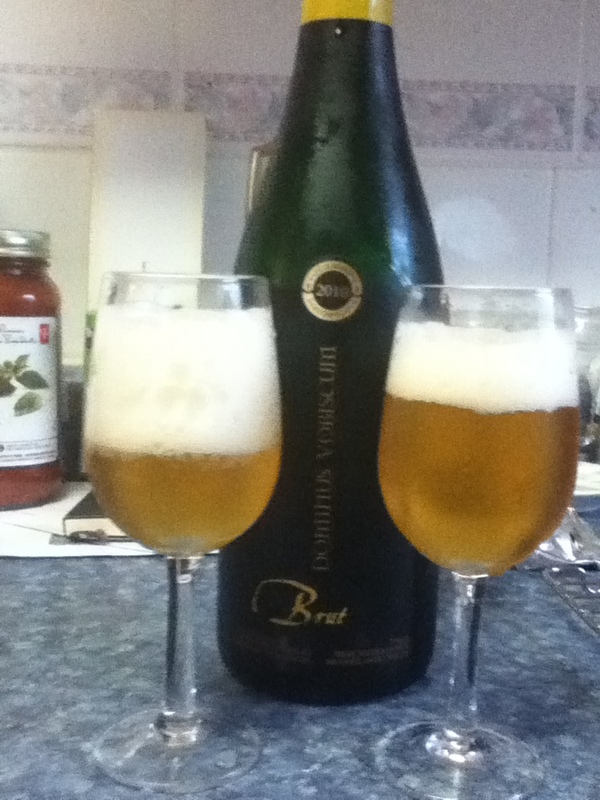 Then there is a beast of a bottle waiting for you in the form of Brasserie Charlevoix’s Brut Sparkling Ale. I’m not too sure what I can say about this beer other than it is amazing and you need to try it. Light and sparkling like a fine champagne with the depth of a boldly brewed Belgian golden ale. Just look how it pours! Next time I feel like bubbles to celebrate I’m grabbing this beer for sure. It’s deeper and less astringent than sparkling wine and doesn’t linger as long after swallowing but it offers all the high ABV excitement everyone comes to expect from a good bottle of champagne. This is a seriously unique and interesting bottle of beer that really shows the diversity of beer available to the public and at $35 it’s a steal compared to champagne. Which brings me to a point; isn’t it great that us beer drinkers can enjoy our favorite beverage at such a reasonable cost out of pocket? I mean most of the best offerings of beer are less than $20 for a bomber; decent wine starts at $35 and if you start getting into vintages the sky is the limit on price per bottle. Enjoy, everyone out there, with a little piece of mind.